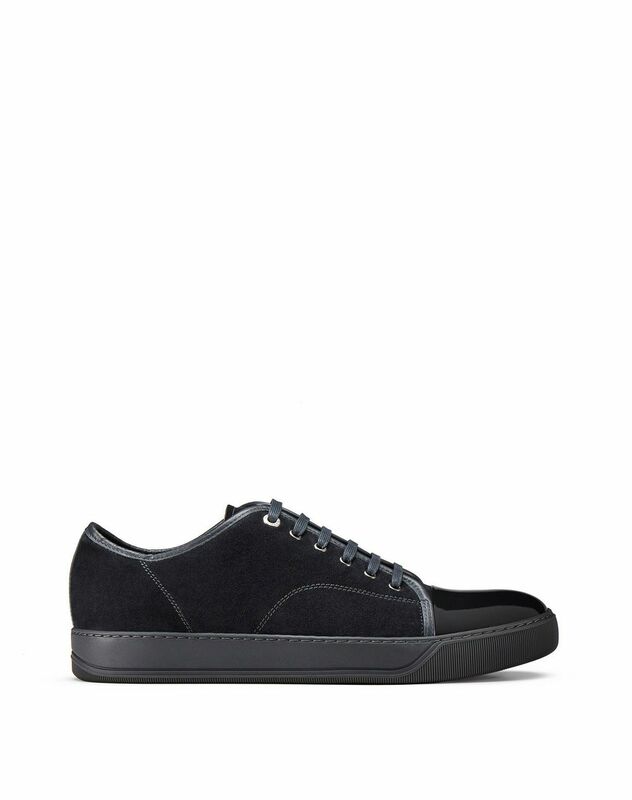 Low-top DBB1 sneakers in anthracite grey suede calfskin leather, nappa calfskin leather over-seam, tone-on-tone patent calfskin leather cap toe, tone-on-tone cotton laces, beige 100% calfskin leather lining and tone-on-tone rubber sole. 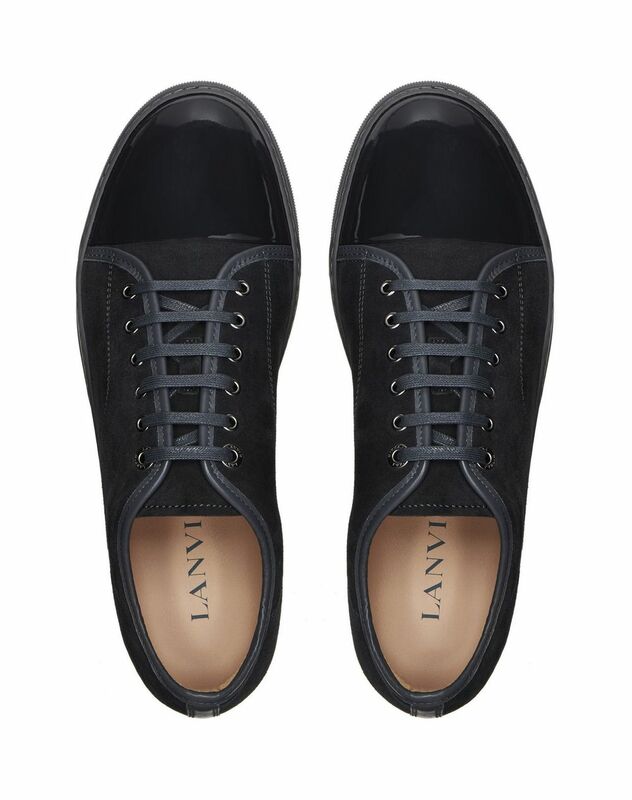 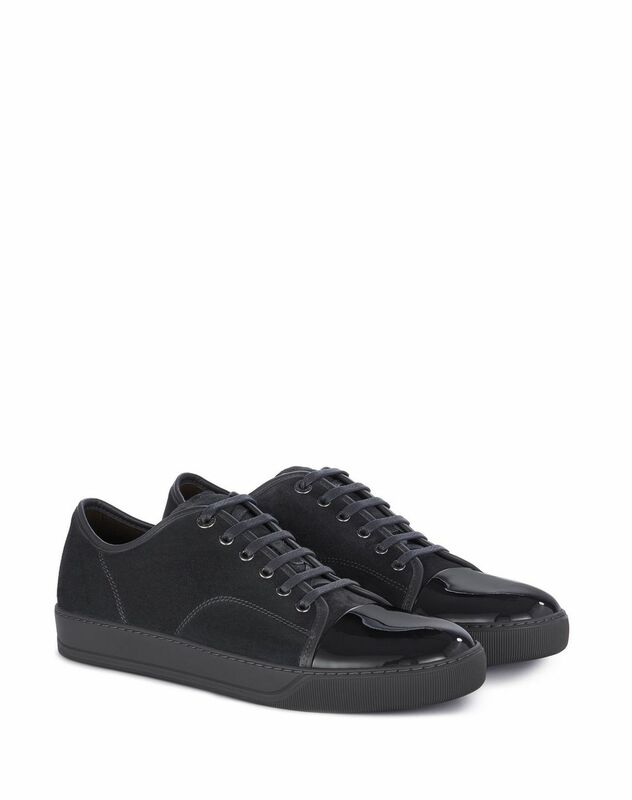 An iconic, timeless classic of the Lanvin Men’s wardrobe, the DBB1 sneakers are reinvented each season. 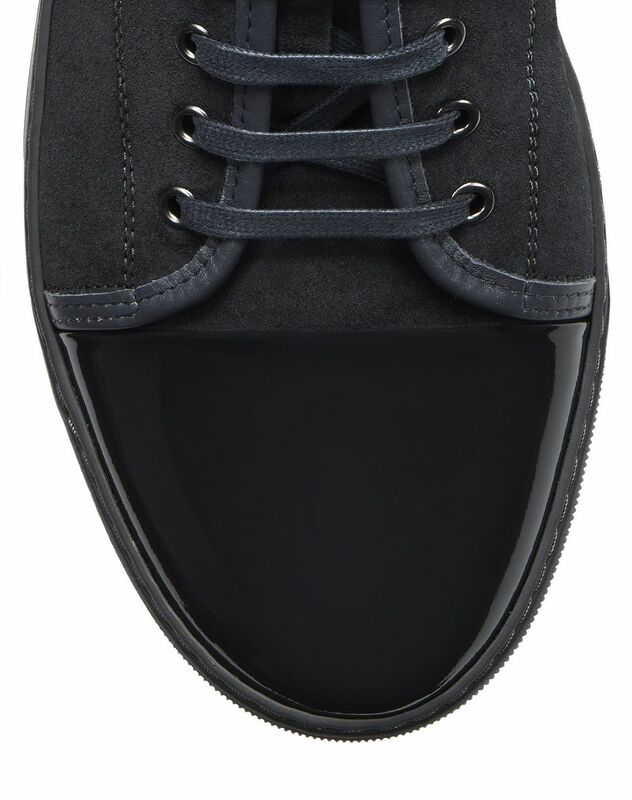 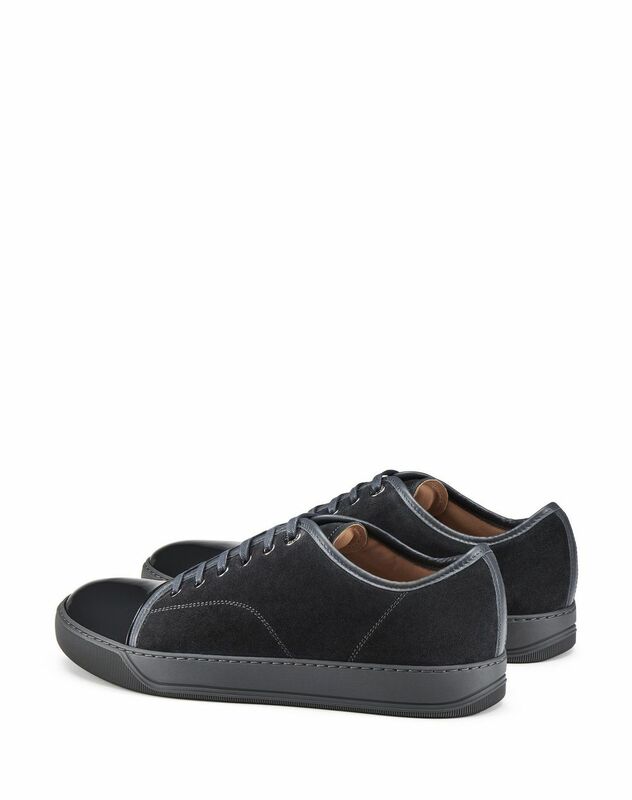 Understated with casual lines, these suede calfskin leather sneakers feature a fantastic anthracite grey colour, making them perfect for a modern and contemporary everyday look.